Here’s a bit of news to get you all over the midweek hump… Geekvape have released their second squonk mod! First was the Athena squonk mod for single battery, but the improved GBOX Squonk box mod is set to send temperatures through the roof. Check out the new features below and we challenge you to control your excitement! The Gbox has numerous impressive features that will send it to the top of every squonk lovers wish list. So, without further ado let’s check this squonker out! An electric squonk mod with dual batteries and all the safety features! The Geekvape GBOX squonk Kit is a stunning, technologically advanced appealing device. The GBOX integrates a squonk-ready system with powerful AS chipset. Your mod will always be up to date and at the top of its game. P.s all you mech-mod-worriers you can take a chill pill and use this mod with peace of mind. 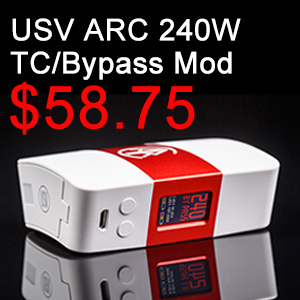 It features a real power output of up to 200W with dual batteries. This is unusual as most squonk mods have one battery so the GBOX really will blow your mind compared to some others on the market! Never fear though, this mod has all the necessary safety precautions to keep you safe. The GBOX will send temperatures soaring but keep them well under control with a full temperature control feature and TCR adjustments.The ergonomic design with a large OLED display will give vapers a comfortable and clear vape every time. The kit combines the powerful GBOX 200W mod with the Radar RDA to provide the ultimate auto-dripping experience for every vaper. If all that really wasn’t enough, here are a couple of extra goodies the GBOX also provides. A new and innovative build deck allowing DIY coil builders to build effectively and efficiently. It is compatible with both 810 and 510 drip tips. 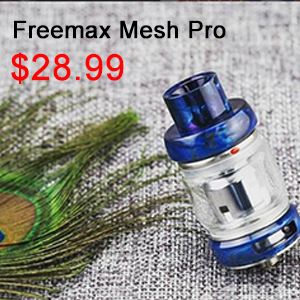 It has an 8ml e-juice capacity, and supports Ni200, Ti and SS. As well as being available in pearl chrome, army green, wine red and black and red colour options. Ok so we’ve given you all the deets on the GBOX but there’s one more surprise. There is also a new accessory on the market for the GBOX….a flask liquid dispenser! The 30ml flask is a multi-functional liquid dispenser! This can be used to fill your squonk mods or as a conventional dripping/filling bottle with no leakages. It is made from high-grade stainless steel for durability. 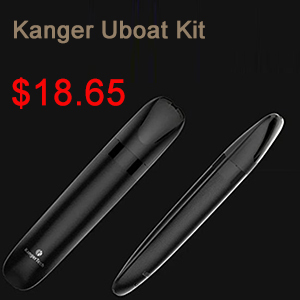 It uses a removable soft silicone internal bottle for long-term economical usage. Need we say more, the Geekvape GBOX squonk kit is a must-have for squonk lovers everywhere! 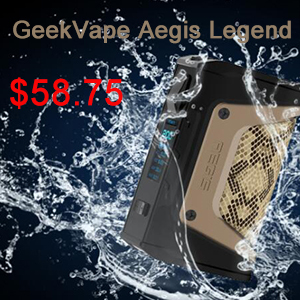 In mid-summer this year, the network has information about another novelty from Geekvape – Aegis 100W. The new boxmode impressed the vapers all over the world. The steam generator became the embodiment of the Rolls-Royce in the world of fragrant clouds. Unbreakable body, protection from dust and moisture, the ability to work from different types of batteries – this is only part of the capabilities of the Aegis fashion. Most of all steamers were pleased with a reliable enclosure with a high degree of protection. The developers in the official review substituted the included steam generator under a stream of water, dropped from a small height, and then wound the atomizer and as if nothing had started to soar. Thanks to the special design, the model took a place in the list of long-lasting and incredibly strong box mod before the start of sales. Another highlight of the Geekvape Aegis 100W Mod is the operation of the 18650 and 26650 batteries. The last kind of power sources rises into the battery compartment as it is poured in. The 18650 batteries will have to be worn with a special adapter, which is included in the delivery. The price bracket of the new boxmaster was not very high and, according to many vapers, sound. For a new steam generator will have to give about 3500 rubles. 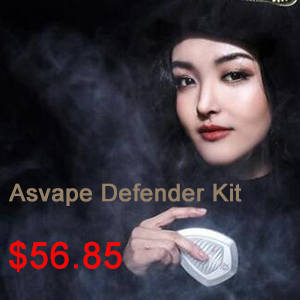 At the time of the review, Aegis has already begun to appear in online wap-shops. The power supply is not included in the scope of supply. Before buying, fashion will have to buy not only batteries, but also an external charger. The micro USB cable coming in the kit is only for updating the firmware of the steam generator. Colors – black with metal overlays and contrasting inserts. At the moment, the company produces box-boxes with four options for finishing. Decorative elements can be yellow, silver with brown, unusual black shade, and also “under weapon metal”. The Fire button is maintained in the same color scheme as the insert. Aegis Box Mod, rather, bored, than broken. Shock resistance and durability, he is indebted to the special technology of making the body – injection molding (LSR). The same method is used in the defense industry, for example, when creating small arms. Engineers installed a fairly pliable and responsive firm charge on the steam generator. Thanks to her device produces the claimed 100W of power, instantly responds to the button Fire. Electronic filling allows you to set box mod almost any indicators, provides stable operation in the mode of varivatta, varivolta and thermal control. The device works on one battery of the type 18650 or 26650. The diameter of the battery compartment is made in a second format. To the battery 18650 does not hang around inside the mod, a special adapter is put on the power supply. The battery compartment cover is made for threading, so there will be no problems with involuntary opening. Charge the batteries in an external charger. The manufacturer reminds not only on the site, but also in the instruction that the micro USB cable is intended only for updating the firmware. Experienced vapers, by the way, did not like the location of the connector – the engineers placed it on the top of the case of the mod next to the connector under the atomizer. Before connecting the mod to the computer will have to remove the tank, if its diameter is more than 22 mm. Start the operation of the device, we advise you to study the hot keys for setting the parameters of the boxman. For example, using the Fire and “+” or “-” buttons, you can adjust the brightness of the display. The menu at Aegis 100W is sustained in classical style. Vapers with experience, and novice lovers of steam can easily choose the desired mode. 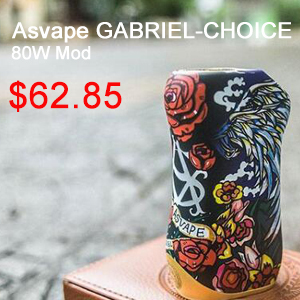 A novelty from Geekvape – Geekvape Aegis 100W TC Mod – can be advised both to experienced vamps and newcomers. Stylish looks like lovers of beautiful devices. The incompetence of the body with protection against dust and moisture, as well as resistance to mechanical damage, will be appreciated by the steamers, who constantly get out of hand. If you are looking for a reliable and durable steam generator with good performance, then the Aegis Box Mod definitely deserves attention.